Availability: This product is discontinued and no longer available for purchase. For alternatives browse our Big Max department. 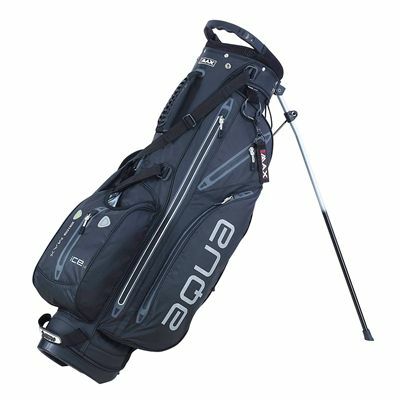 The Big Max I-Dry Aqua 7 stand bag is a lightweight waterproof golf bag that offers great practicality and convenience. The golf bag has a 4-way divider and 7 pockets including a cooler pocket, a scorecard pocket and different accessory sections. There are glove, umbrella and towel holders and all the zips have sealed seams to make the bag waterproof. For carrying the bag there are comfortable and adjustable straps, easy lift handles and a carry handle at the top. The legs can be locked and the stand mechanism is light and easy to use. 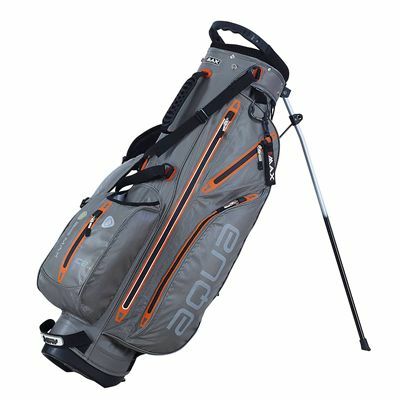 for submitting product review about Big Max I-Dry Aqua 7 Stand Bag.